This week I’m making a one-pan wonder: an oven roasted pork tenderloin with mushrooms that is easy enough for a weeknight, fancy enough for company, only requires 4 ingredients ( other than pantry staples like salt ), and is on your table in about 30 minutes. In case you haven’t noticed, I’ve been all about those Weeknight Warriors recently. You know — the dishes that keep you going through the week, don’t sacrifice on flavor, and generally speaking, are fairly healthy. Roasting pork tenderloin in the oven is one of the absolute easiest ways to get dinner on the table with minimal fuss and is my new favorite method to make a weeknight dinner that I did’t really feel like cooking happen. 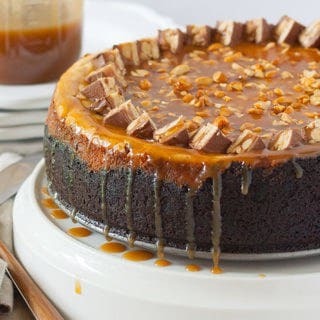 I think after you try this recipe it will be yours, too. Here’s the thing — I know there are a ton of quick weeknight dinner recipes out there. They just always feel so …. not me. I’m not opposed to a shortcut here or there ( bought those mushrooms pre-sliced y’all ), but I like to keep it fairly natural. So many weeknight recipes end up having ingredients like “a packet of ranch mix” or “cover in bottled salad dressing”, and they never end up tasting homemade. If I go through the trouble of cooking, I want the food to taste like I made it, not some food conglomerate. Oh, but I still want it to be easy. Super easy. “I barely put effort into this” easy… with the flavor of a “I thought about this incessantly before company came over for dinner” flavor. Not such a small feat. But guys, I’m determined. I’m determined to find those meals. I know they are out there, and as I find them, so will you, so make sure to check back regularly ( or sign up for my email list in the sidebar of this site ) to get more weeknight recipes. 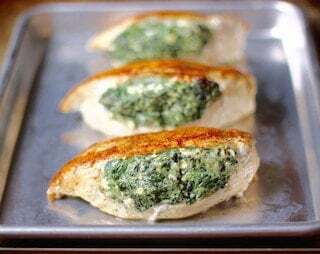 I recently shared my Spinach Stuffed Shells ( another great weeknight dinner favorite ), and I hope to have a ton more weeknight recipes in the coming weeks, along with a few cocktails just for good measure. 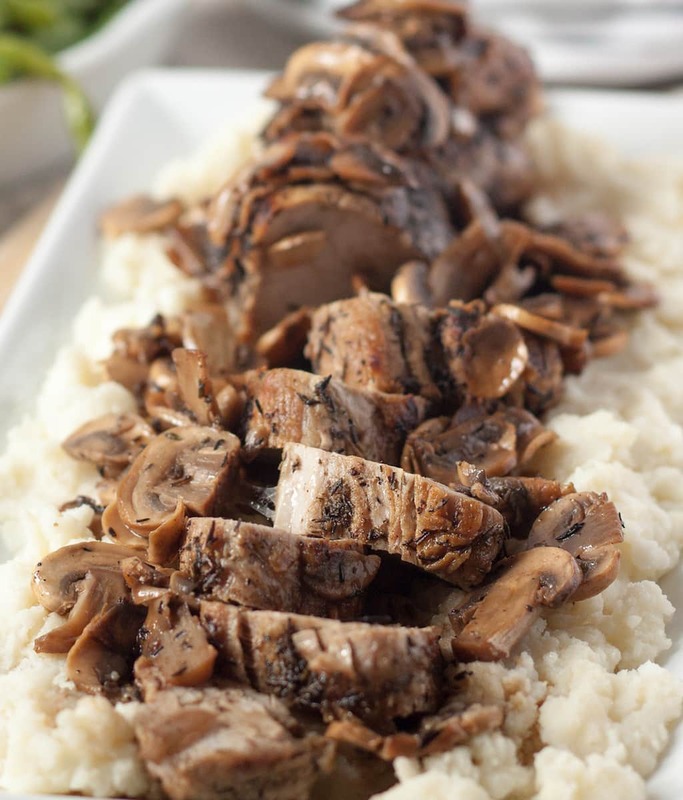 How to cook an easy oven roasted Pork Tenderloin with Mushrooms and a white wine pan sauce. 1/3 cup chicken broth stir up bits from pan. Preheat the oven to 350 F. Rinse the tenderloin under cool water, and pat dry. Rub the salt, pepper, and thyme onto all sides of the tenderloin. Add the olive oil to an oven-safe pan over medium-high heat. Let's consider this round cut of meat to have 3 "sides". Cook each side for 2 1/2 minutes. Remove the pan from the oven, and add the white wine and broth directly to the pan with the mushrooms and tenderloin still in it. Stir up any cooked-on bits from the pan, to make a quick, light sauce. Serve over mashed potatoes or wild rice, with green beans or a fresh salad. I make a lot of pork tenderloin this time of year and always looking for new recipes. Thank you for sharing. I am obsessed with pork tenderloin right now. I’ve been going crazy with it! This looks so delicious and comforting I love mushrooms! Mushrooms are a staple in our house — I have to stop myself from putting them on everything, but I never hold back when making pork! Ooh this tenderloin looks delicious! I sometimes have trouble thinking of new ways to cook a tenderloin and this looks delicious. Saved for the future! 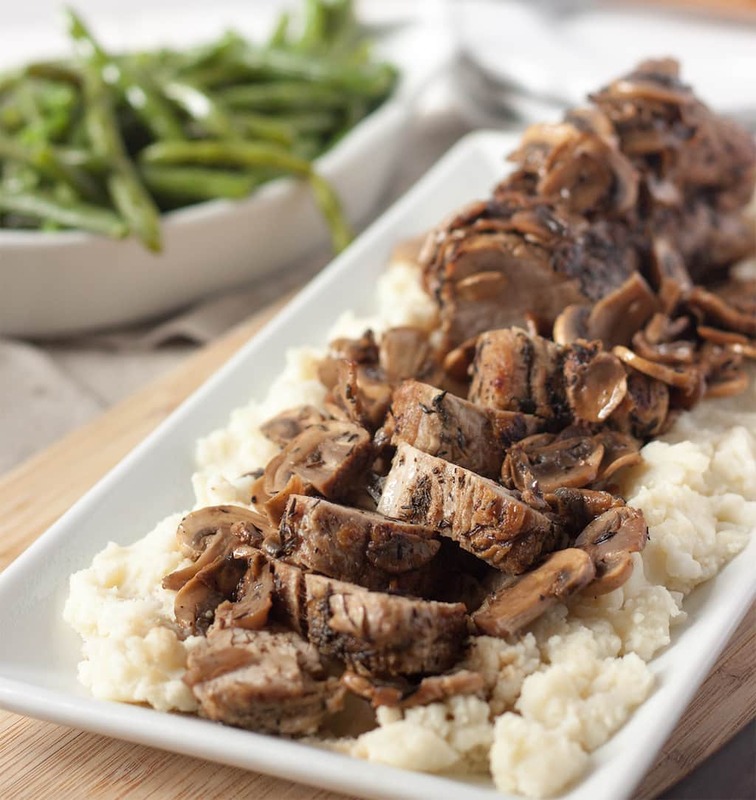 I’ve been experimenting with pork tenderloin a lot recently — it’s so versatile! I love to cook with mushrooms as well and will definitely try this recipe! It seems like I brushed the tenderloin with Grey Poupon mustard before coating with the breadcrumb/sage mixture. Maybe you can come up with an easy recipe using these or similar ingredients! I love fast, one pot meals – the perfect weeknight dinner. Will be adding this to the rotation! Me too! I’m trying to figure out some good ones in the coming months! This caught my eye the other day on Pinterest! We love pork tenderloin, and I’m with you on trying not to use all kinds of processed ingredients. Great recipe! Thanks! I’m really trying to find some great “weeknight” recipes with the ease of using junk, but not actually, you know … using the junk. hahaha! Why are we rinsing the loin? You know, it’s just something I’ve always done before cooking pork — rinse it and then pat dry. There was a time when it was thought to be safer if you rinsed it, although recent evidence has shown that is not true. Feel free to skip the rinsing, but not the patting dry!